Posted by Something Pretty in on Oct 02, 2013 . On the 27th of September in the Something Pretty office, we took a little time out from a busy Friday to attend an amazing event, the MacMillan’s “World’s biggest coffee morning”. We enjoyed some coffee and a few home baked cakes at a local event. These coffee mornings were happening all over the UK in aid of Cancer care and to this point have raised nearly 1.5 million towards helping people deal with and fight Cancer. 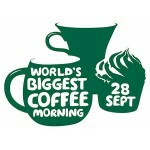 A great excuse to eat some cake and help raise some money. Posted by Something Pretty in on Aug 09, 2013 . Firstly, let me introduce myself, my name is Lauren and I am an Orthotic Practitioner working alongside our wonderful breast care nurses. My job is to make sure that women who have had a mastectomy are fitted with a good prosthesis and they are given advice on mastectomy wear which will help them find the most comfortable and supportive bra. 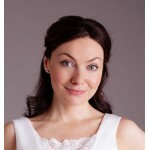 As you can see our website provides you with a wide range of mastectomy bras for you to choose from. Each bra has its own unique style and level of support, so whether you are looking for Something Pretty or classic and supportive, there is something for everyone.